Do your Scouts count the strategy guide for their favorite video game as summer reading? Does “staying active” involve little more than their thumb on the remote control? If so, it’s time for you to intervene. Take part in the Corporation for National and Community Service’s summer United We Serve: Let’s Read! Let’s Move! initiative. Lengthy name, simple purpose: Keep children moving and reading when school’s out for the summer. U.S. Secretary of Education Arne Duncan helped launch the initiative today in Washington. Of course, kids who are involved in Scouting fare better than most of their peers during the summer months. Scouts attend summer camp, earn merit badges, and participate in community service projects every June, July, and August. Much of the challenge here lies in getting young people, especially boys, to find a book they can sink their teeth into. This post I wrote in May with some ideas for summer books, broken down by grade level. Guys Read, a web-based literacy program for boys founded by author and First National Ambassador of Young People’s Literature Jon Scieszka is another good resource. Scieszka, by the way, wrote The Stinky Cheese Man and Other Fairly Stupid Tales, among other popular books for youth. Speaking of Scieszka, Scouting magazine’s Sept. 2008 cover story featured an interview with him in which he and other experts revealed secrets for getting boys excited about reading. For Scouts attending a high-adventure base, Boy Scout summer camp, or Cub Scout resident camp, staying physically active is pretty easy. Just show up and do the activities each day. But what about the rest of the weeks of summer? 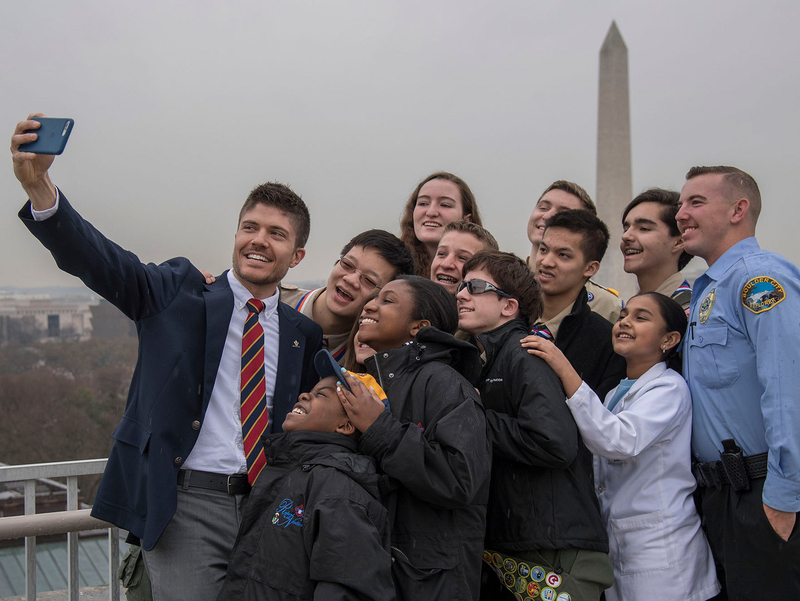 Encourage your Scouts to earn the SCOUTStrong Presidential Active Lifestyle Award Challenge, which I told you about in October. And guess what, Scouters? You can earn it, too! Take your kids to as many playgrounds as you can, and win a prize. Read Scouting magazine’s extensive collection of Health and Wellness stories. Send your Scouts to the gym! I mean, of course, the Boys’ Life gym, which has great tips and fitness videos designed specifically for Scouts. What are your secrets for keeping Scouts physically and mentally active during the summer? How do you limit video game time when their schedule is wide open? Leave a thought in the comments.